Children of the 1980s, rejoice - the original Bananarama line-up is back together at last. Which got us thinking - lots of 80s bands have reformed over recent years but which ones are we still wishing would reunite? Never gonna happen. Yes, we know. But just imagine! 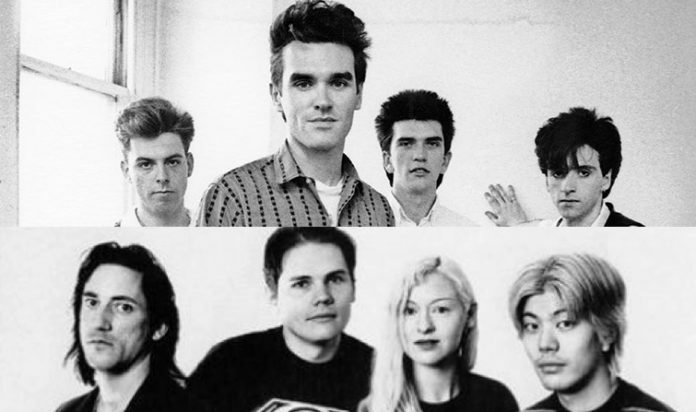 Johnny Marr and Steven Morrissey formed the band in 1982 with bassist Andy Rourke and drummer Mike Joyce. They went on to release 17 singles and four studio albums, becoming one of the most influential bands of the 1980s. 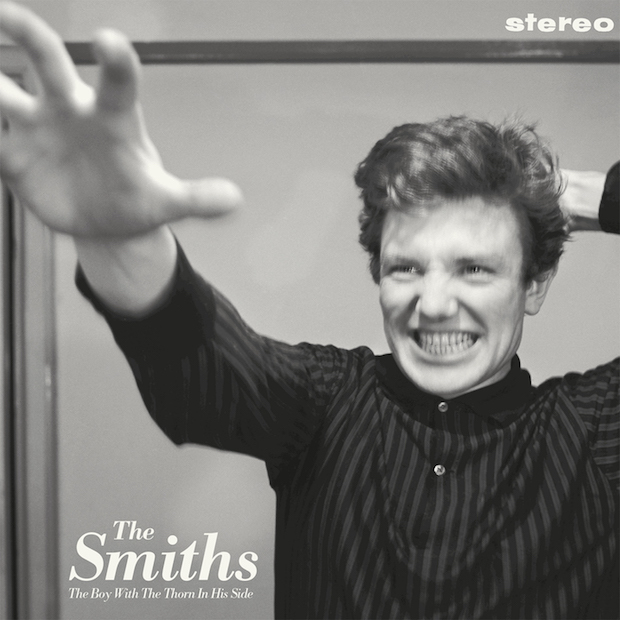 Hits included This Charming Man, Heaven Knows I'm Miserable Now, How Soon is Now?, Big Mouth Strikes Again, Panic and Girlfriend in a Coma. But the dream combo of Marr's melodies and Morrissey's musings was broken with the band's acrimonious split in 1987. "The Boy With The Thorn In His Side" (Demo Mix) / "Rubber Ring" (Early Drone Studios Version) - The Smiths, 7" vinyl is out via Rhino for Record Store Day 2017 - April 22, 2017. Smiths Record Store Day single has “Trump Will Kill America” engraving - Post-Punk.com. Link posted by Famous when dead. The brief article then segues in to a recap of recent live events with no real attempt at cogency. Not the best of writing. New Albert Finney sleeve for "The Boy With..." demo 7"
* NOTE Mar. 26 - main page article had to be re-created as it was accidentally deleted a few days ago. This will be interesting to watch. First one of these I have ever seen for sale.. The 2006 debunked Warner's Queen Is Dead rarities bonus cd-r. All looks legit to me. This is a UNRELEASED internally distributed CD that was prepped and planned as part of a reissue of The Queen is Dead. Unfortunately, the plans for that were scrapped and the songs were never released. NONE of these UNRELEASED DEMO tracks have ever been released. Most of these tracks have never been mentioned on Morrissey and Smiths web-forums and I doubt many of these CDs even exist nowadays. The CD and cover are in impeccable condition. I placed paper over top to prevent counterfeiting of the listing and to cover private information. Enjoy it before the lawyers get it taken down.